Do you have what it takes to take the heat? 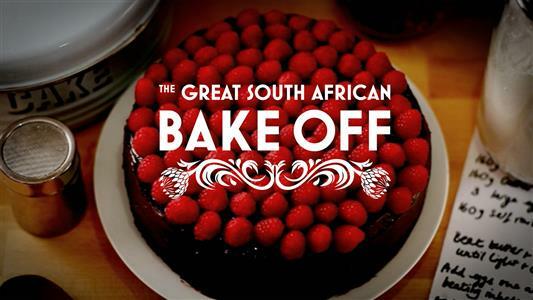 The Great South African Bake Off Is Back! Do you know your koeksisters from your melktert? Do you know the difference between a pushpan and a tart tin? If you think you have what it takes to be crowned the nation’s best amateur baker then BBC Lifestyle wants to hear from you as The Great South African Bake Off returns for another fantastic series. The Great South African Bake Off attracted record ratings last year, positioning itself as the highest performing show on BBC Lifestyle for 2015, and was a social media sensation, trending on South African Twitter during every premiere episode. “It was a once in a lifetime experience. Going into the competition, I never thought I would meet such great people, learn so much and be able to bake some of the things I did. My fellow contestants were a great bunch of amateur bakers who, under pressure managed still to encourage and help their fellow contestants and keep the humour flowing. We had many great laughs and a few tears together,” says Dot Dicks, an admin manager from Johannesburg and winner of the first series. Dicks also gave a few hot tips to bakers interested in applying. “I would encourage every amateur baker to enter bake off if they can. Even if you don’t think you’re good enough, you’ll be amazed at what you can do with the motivation that the competition gives you. Not only was it a wonderful experience but it pushes you to try things you may not think you are capable of. My words of advice to this year’s contestants would be to read your recipe, then read it again, make sure you have all your ingredients, don’t forget the eggs and have fun…,” she says. BBC Worldwide’s head of programming for Africa, Kully Kaur-Bains adds that BBC Worldwide is dedicated to commissioning shows that delight and entertain their local audiences. The talented, vibrant, and vivacious bakers found in South Africa are one of the reasons The Great South African Bake Off is so special and why they can’t wait to embark on a brand new series. The Great South African Bake Off is BBC Worldwide’s second local commission, following the critically-acclaimed, award-winning Come Dine with Me South Africa. The series builds on the success of the hugely popular BBC series The Great British Bake Off, and will see amateur bakers compete to be named South Africa’s best home baker. The executive producer for the series will be Kirsty Hanson at BBC Worldwide. The second series of The Great South African Bake Off is locally sponsored by Mugg and Bean. The Great South African Bake Off will be produced once again by local production company, Rapid Blue, 2016 SAFTA winners for Strictly Come Dancing and producers of Come Dine with Me South Africa. BBC Worldwide recently announced that it has invested in Rapid Blue, who are producers of original productions and international television formats for South African, African and international audiences. Applications to become a contestant on the show are now open nationwide. The application process closes on Monday, 13 June and shooting for the ten-part series will take place in Johannesburg. The program will be produced by local production company Rapid Blue and is due to air in late 2016. For more information, visit bbcsouthafrica.com. Alternatively connect with them on Facebook orTwitter.